If you want to see more pictures from Antarctica, click here. If you get the opportunity at some point in your life, go to Antarctica. It truly is an extraordinary place. It’s bleak, yet dazzlingly bold. Harsh, unforgiving and breathtakingly beautiful. And… the penguins are hilariously entertaining, cute and kind of stinky. 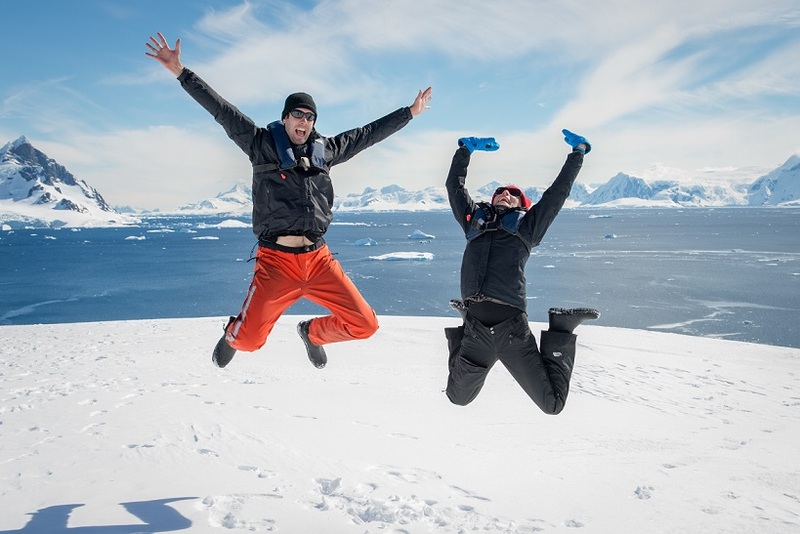 We had an incredible 12 days in and around Antarctica including many hours spent on the Antarctic mainland and nearby islands – and many more hours spent on the open ocean travelling to, from and around the continent. Notorious for its unpredictable weather, we were astonished with the extent the sunshine and just sparkling weather we enjoyed. One of the expedition leaders on the trip had done something like 150-160 voyages to Antarctica and he said that the weather we had was in the top 5 of all trips he’s ever had. So yes – we got lucky. We climbed up hills and slid down steep, snowy slopes over 100m long – an action which was simultaneously exhilarating and somewhat chilling, given that it resulted in me filling both my pants and the inside of my jacket with cold, wet powder. We spent hours watching penguins nest, groom, feed, mate and fight – and waddle back and forth between the water their rookery via so called ‘penguin highways,’ which in some places were thin, trampled channels beaten 30cm lower than the rest of the snow via hundreds of pattering penguin feet. We cruised past icebergs the size of highrise buildings while riding in rubber duckies around the Antarctic Sound. We ate, and we ate, and we ate, and we ate (the food was amazing). And then we celebrated, because Adrian proposed – and I said yes. I hadn’t realised that some penguins were so loud. Or so smelly. Especially the gentoo penguins, who seemed to poo everywhere – including on each other with a powerful, projectile stream of goopy pink. I hadn’t realised that killer whales and minke whales would come right up to our boat. And I hadn’t realised that even with three pairs of woollen socks, I could still have cold feet!! Suffice to say, it was just fantastic. Happily, neither of us was sea sick although while we were crossing the Drake Passage there were one or two occasions when an intense and rapidly rising wave of queasiness sent me off to lie down for an hour. After the cruise, we countered the remote wilderness of Antarctica with the urban jungle of Buenos Aires – our last stop before returning home Sydney. This will be the last blog post on the twobytwowheels adventure. It’s been a fantastic, incredible, challenging, uplifting, disappointing, exhilarating, fun and unique experience which I am so happy to have been able to share with Adrian and also, at times, with other travellers along the way. I am proud of what I’ve accomplished – and feel so very fortunate to have had the opportunity to do so. And I’m excited about being back home! For anyone wondering what happened to the bike… we shipped it from Buenos Aires back to Sydney and it’s arrived safely. Hopefully Adrian will be able to get it repaired early in the new year so he can get back out on the road. So… that’s it! Thanks for coming along for the ride. Hope to see you somewhere sometime soon!! !